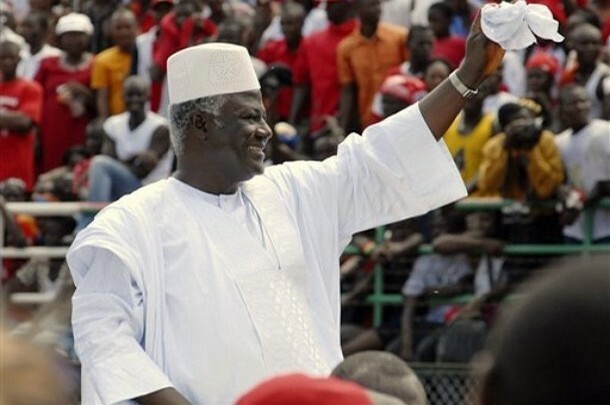 The Department of Information and Public Affairs of the Permanent Mission of Sierra Leone to the United Nations wishes to announce that the President of the Republic of Sierra Leone, His Excellency Dr.Ernest Bai Koroma, will be paying a one-day visit to New Jersey on Saturday September 24 while in the U.S . attending this year’s United Nations General Assembly . The President will arrive in New Jersey in the afternoon and will attend a working lunch with members of the All People’s Congress ( APC ) North America at a venue to be announced shortly. President Koroma will then attend a Big Banquet staged at the Ukranian Cultural Centre on Davidson Avenue , Somerset, from 8pm to midnight. We are calling on all Sierra Leoneans in New Jersey and beyond to come out in full colours to welcome His Excellency the President to the Garden State . More details will be provided soon. Signed : Rev. Leeroy Wilfred Kabs-Kanu : Minister Plenipotentary , Permanent Mission of Sierra Leone to the UNITED NATIONS.